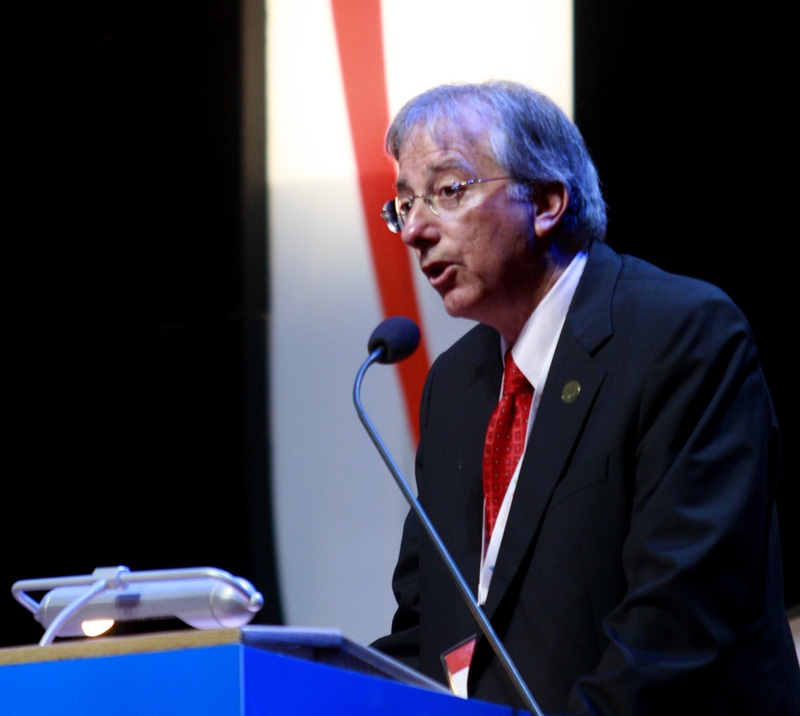 The new book by veteran American diplomat Dennis Ross shows that the seven-decade-old U.S.-Israel partnership sometimes hits bumpy patches—but in the last few years, the White House has decided to steer directly into confrontation with nothing to show for it. Dennis Ross has written such an engrossing and comprehensive book about America’s relationship with Israel that it deserves a much better title and much more accurate subtitle. Doomed to Succeed: The US-Israel Relationship from Truman to Obama has received a lot of attention for its damning portrait of the Obama administration, but it would be a shame see such a serious book as a polemical parting shot of a former official. The book promises to survey seven decades of the U.S.-Israel relationship. Such an endeavor would, at a minimum, involve looking at the memoir literature of American and Israeli officials, in English and in Hebrew. It would examine elite and popular attitudes in both countries, cultural exchanges and migration patterns, and evolving ideological approaches. It would have to account for the influence of the American Jews who have immigrated to Israel, the Israelis who have immigrated to the U.S. or at least studied and worked there, and, especially, the large and diverse Jewish civil society in America—in a mature, rather than conspiratorial, manner. It would situate political decision-making in a context of public attitudes and assess the latter in the context of broader movements, such as the rise and fall of socialism in Israel, the decline and reemergence of energy independence in America, and so forth. But Ross’ book does none of these things. It is an elite project built largely on the memoir literature—of only one side. The book is not a comprehensive survey of the U.S.-Israel relationship, but rather a detailed history of American foreign policy making with respect to Israel. And, as such, it is an excellent, even necessary, read. Every administration team from Harry Truman to Barack Obama is treated to one chapter. Ross’ mastery of the history and his careful teasing out of the relevant themes are so comprehensive that there is not an appreciable change in quality when he moves from original research to describing policy making in the administrations in which he was an active participant (Reagan, the elder Bush, Clinton, and Obama). It is the chapter on that last administration which naturally gets the most attention. In my own conversations with friends and colleagues, I have gotten the distinct impression that it is the only chapter they have read or will read at all. This is a huge mistake. Ross quite clearly did not leave the administration on good terms with Susan Rice, who is now the National Security Adviser. He juxtaposes sentences with her name next to stories about two prominent leaks that sought to damage his reputation, as well as directly after relating the tale of the infamous anonymous “chickenshit” insult hurled at Prime Minister Benjamin Netanyahu, leaving little doubt as to who he believes is responsible for all three incidents. Occasionally, Rice is quoted directly, and her feelings are always clear. Ross’ prose, on the other hand, is a bit awkward at times (by the end of the book, I was happy to be free from the words “riveted” and “mindset”), and the overuse of the first person plural to designate anything official and American is at times distracting and confusing, particularly in the chapters where the author himself is one of the dramatis personae. The most repetitive aspects of the book, however, are actually its most edifying. Two stand out in particular. First, the recurring belief among certain learned diplomatic experts that any pro-Israel decision will immediately endanger American interests in the Middle East. Ross recounts several of these, beginning with Truman’s decision to recognize the State of Israel eleven minutes after its declaration, all the way through Obama’s veto of a UN Security Council resolution on settlement construction. Each time, the experts warn of dire consequences, and each time in Ross’ detailed recounting of the incidents, their predictions come to naught. Ross doesn’t stop by just pointing out the error; he asks again why no lesson was learned. As Ross points out, administration experts have warned of dire consequences for supporting Israel for decades, but their predictions have always come to naught. Ross doesn’t stop by just pointing out the error; he asks again why no lesson was learned. The second story that repeats itself throughout the book is the mirror image of the first. A turn away from Israel, nearly always at the beginning of a new administration, is believed to herald positive pro-American steps from the Arab states. Depending on the incident in question, this is either a moderation involving states not aligned with the U.S. or movement on a vital American interest from the Arab states already in the U.S. orbit. The results here too are always a disappointment, and Ross demonstrates in nearly every chapter that the officials involved never question the assumptions that led them to read the situation so wrongly. Though he never enumerates them in quite this way, Ross identifies three camps in internal American policy debates on Israel. The first sees Israel as a burden on American interests, and therefore presses to keep Israel away, occasionally even initiating crises in the relationship. The second camp also sees Israel as a strategic burden, but holds that America should be supporting it anyway for other reasons (these vary as the international system goes from decolonizing postwar to cold war to unipolarity to post-9/11). The third camp sees Israel as a strategic asset that should be supported. This camp emerges in the early 1970s, and only really finds its voice in a deeply divided (on the question of Israel at least) Reagan administration. The ups and downs of each camp are the main theme of the book. And because the book is entirely focused on American policy-making, we never get any real hint of how Israelis see the U.S. relationship or what their internal debates were. Was one camp ascendant at one time and later eclipsed? The dilemmas and decisions in Jerusalem don’t feature very much in this book, except when they are reasons for frustration and anger in Washington. Two historical motifs run through the entire text. First, things that seem like they’ve always been with us are occasionally quite new. Though American politicians, and presidents in particular, have often spoken of their affinity to the State of Israel, the Israelis themselves made do with very little American assistance in the formative years of the state. The very first significant weapons sale, a purely defensive anti-aircraft missile, went through in the Kennedy years, and the more significant military aid began in the 1970s. But it was only during the 1980s that security and intelligence cooperation reached a level we might find familiar today—and Ross himself, as a mid-ranking American official, played a large role in that. In fact, it is the close security cooperation that has given recent Presidents the political space for distancing themselves on Israel in other matters. For Obama, this has become a familiar strategy. But the original precedent is the first George Bush, who is remembered for his very tense relationship with Israel—unfairly for Dennis Ross, who begins his chapter on Bush with an extensive survey of the ways, direct and indirect, in which he contributed to Israel’s security. It’s a bit surprising that Ross, a “lifelong Democrat,” is decidedly more sympathetic to the pro-Israel bona fides of George H.W. Bush than of Barack Obama. The key to understanding why lies in the second historical motif of the book: Crises that seem new and unprecedented are actually a regular occurrence in the U.S.-Israel relationship. Whether it’s Ford’s famous “reassessment” in 1975 or Reagan’s frustration with perceived Israeli military adventurism in 1981-83, each new crisis is heralded in the media of both countries as “an unprecedented low.” Ross has been there for many of them, but he is clearly most satisfied by the 1991 crisis in U.S.-Israel relations that swirled around the topic of U.S. loan guarantees. What makes a public spat between an American President and an Israeli Prime Minister over settlement construction so satisfying for Dennis Ross when it occurs in 1991 and so frustrating when it occurs in 2009? In 1991, President Bush got results for his crisis, while President Obama got nothing except the crisis itself. Bush’s pressure on Israel ultimately yielded a new Israeli government which was much more moderate, and Bush used his credibility with the Arabs following the Gulf War to bring them to direct negotiations with Israel—a major diplomatic coup. In contrast, Obama managed in 2009 to force Netanyahu to accept a settlement freeze that was far stricter than any Left-wing Israeli government had ever pursued, but was not able to bring along the promised gestures from pro-American Arab states, and, by forcing a demand they themselves had never requested, made the Palestinians’ negotiating position more difficult to sustain, not easier. This did nothing to move Israeli public opinion and domestic politics closer to American preferences, and it did nothing to move the Arabs any closer to American preferences either. Distance from Israel—“daylight” in the trendy parlance—was an end in and of itself for senior administration officials, and no one, at least in Ross’ firsthand account, stopped to ask why the promised results never came through. Though there are significant gaps in their descriptions of certain events (in particular the chemical weapons deal with Syria, and on who offered what in exchange for extending the ten-month settlement moratorium for three months in 2010), it is astonishing how much Ross’ description of this crucial period complements that of Michael Oren in Ally, his memoir of his time as Israel’s ambassador in Washington, which was universally panned as some sort of heresy by the centrist-to-moderate-liberal crowd that both men come from. Frustratingly, neither gives an adequate description of the debates and miscalculations in Jerusalem, focusing instead almost entirely on Washington where both were serving different governments. Both books could have benefited from a critical look at decision-making in Israel and the mistakes made by Israeli officials in the crucial first months of 2009. Both books ignore the possibility that ideological blinders inform Israeli decisions as much as American ones. But this is a minor quibble. Ross’ book, even more than Oren’s, describes an Obama administration that is committed to the proposition that American must create some public distance with Israel, rather than one that is reluctantly dragged into confrontation by a provocative Israeli leadership. Ross’ argument, ultimately persuasive, is that there is nothing terribly new about this—and that none of advocates of “daylight” seem fazed by the failure to produce desired results. It is in this light that Ross’ chapter on the first Bush administration should be seen. There too, a President without any particular emotional attachment to Israel was perceived by Israel’s most fervent American advocates as heedlessly abandoning it. There too, the President in question actually deepened the security cooperation between the two countries, and felt that this commitment gave him the political leeway to publicly disagree on diplomatic issues, in particular on settlement construction. But in Ross’ telling, Bush’s crisis with Yitzhak Shamir yielded results for the White House and for American interests. 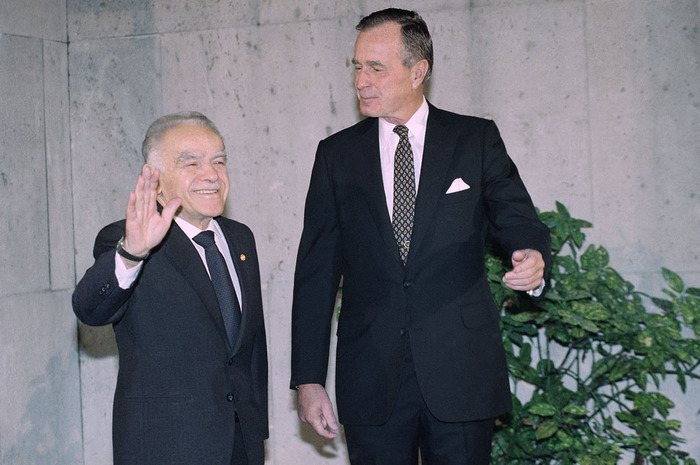 The United States was able to deepen its ties in the Arab world as the Soviets retreated from the region. It was able to convene a Middle East peace conference in Madrid in 1991. And it was able to effect a change in Israeli public opinion and ultimately, following the 1992 election in Israel, a change in Israel’s governing coalition. 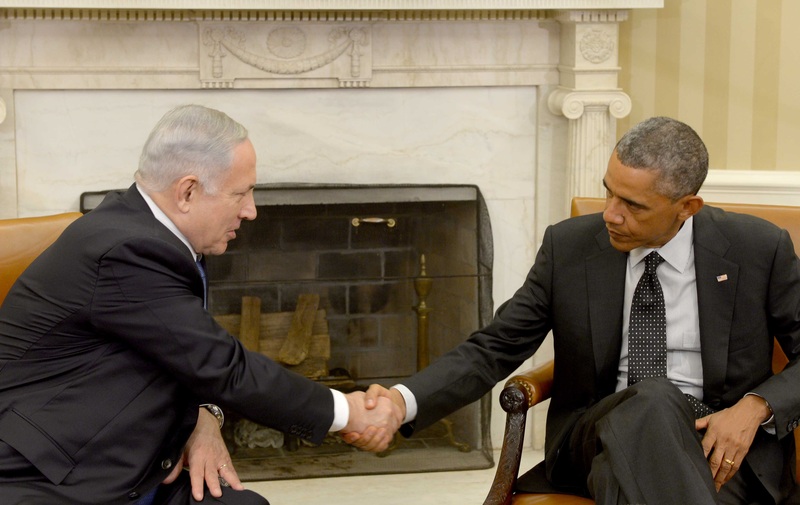 The periodic blowups between Obama and Netanyahu have accomplished no such thing. In Ross’ analysis, they seem less a byproduct of American interests and more an end in and of themselves. This, perhaps, is the reason why no one bothers to ask why all the public distancing from Israel doesn’t produce results for American interests (though Ross himself doesn’t speculate). But it is not the description of the Obama administration that is the big achievement of this book. Rather it is the comprehensive survey of seven decades of U.S. policy toward Israel that, one hopes, will replace the paranoid ravings that generally dominate this category. This book should push some of those off the shelf, and hopefully it can also make some room for companion volumes describing the events from an Israeli and an Arab view as well.